Don’t miss a single jingling bell with our Corpus Christi Christmas Guide, a comprehensive roundup of holiday events across the Coastal Bend. We decked our digital halls with a comprehensive list of holiday events for you and your family, whether you’re looking for photos with Santa, a lighted boat parade, holiday music, or a time of worship and contemplation of the real reason for the season. The 101 Fun Things to do in Corpus Christi Christmas Guide takes you through the month of December and into Epiphany on Jan. 6. The guide itself contains icons of each of the major events. A click of the mouse or touch of the finger on a smartphone or tablet gets you the basic information you need to attend. You can click on the website link for even more details and, when tickets are involved, an online option for purchasing. 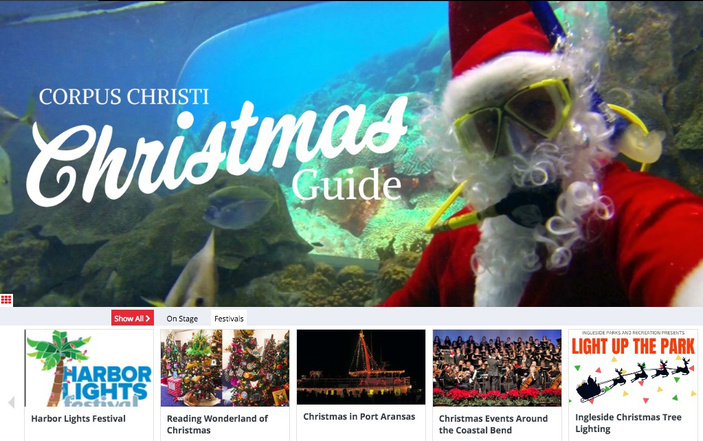 Our stories on the latest events in the area help you plan your Christmas season celebrations from The Island to Portland and beyond. Local churches also have a slate of festive and spiritual events planned for the beginning of the liturgical year. Corpus Christi Business News features a roundup of Christmas music, pageants, and plays in its Worship Guide. Check back as the season nears that all important day of Dec. 25. We’ll be adding Christmas Eve candle-lighting services and more as we obtain the information.